Without too much exaggeration, social media platforms accompany half the planet to work every livelong day. Being one of the most powerful channels of communication ever and providing a myriad of entertainment opportunities, it remains the most credible and cheapest way to tap into people’s emotions and increase brand awareness. Not yet convinced? Darn. Okay, I’ll continue. Or maybe you’re looking for proven ways to convince your client to make better use of social media management? We’ve compiled the following list of persuasive social media statistics and facts to make your argument rock solid. There are 3.5 billion people using social media. The time the average person actually spends on social media equals to five years and four months. People spend nearly two hours on social media every day. On average, people register 5.54 social media accounts. 13% more people started using social media globally in the past 12 months. 90% of companies use social media platforms to raise brand awareness. 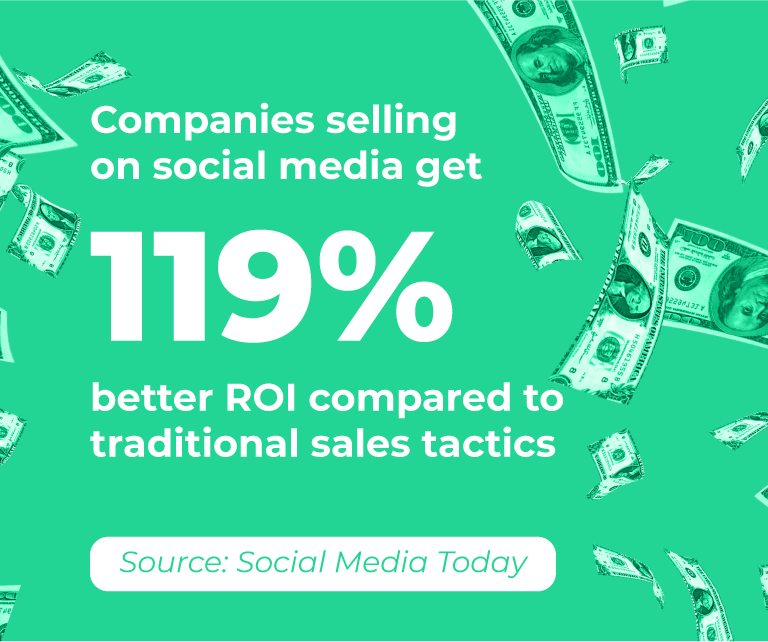 Companies selling on social media get 119% better ROI in contrast to traditional sales tactics. 90% of social media users try to contact brands or retailers. Nearly 81% of small and medium-sized businesses use social media. 75% of marketers state that social marketing substantially grows their traffic. People aged 55 and older are twice as happy to engage with brands online. Almost half of the American population has interacted with companies or organizations using their social media accounts at least once. By being responsive, 48% of brands on social prompt consumers to purchase. Knowledge is power. Obviously, businesses using statistics that follow below have a privilege among their competitors. Every social media network suits different purposes and should be approached as a unique channel for brand awareness and growth, depending on your client’s core business. As of January 2019, Facebook currently sits at 2.27 billion monthly active users. 22% of the global population uses Facebook. 1.1 billion Facebook users speak English. 200 million people participate in meaningful Facebook Groups. People regard Facebook as the hardest social media platform to resist. 19% of time spent on mobile devices is due on Facebook. There are traces of over 8 billion average daily video views on Facebook. Astonishingly, 486,183 users a minute connect to Facebook from their mobile. Every minute there are 400 new signups to join Facebook. India, Brazil, and Indonesia have the largest audiences on Facebook, after the United States. 95.1% of people consume content faster going to Facebook on their smartphones than when using their desktop. 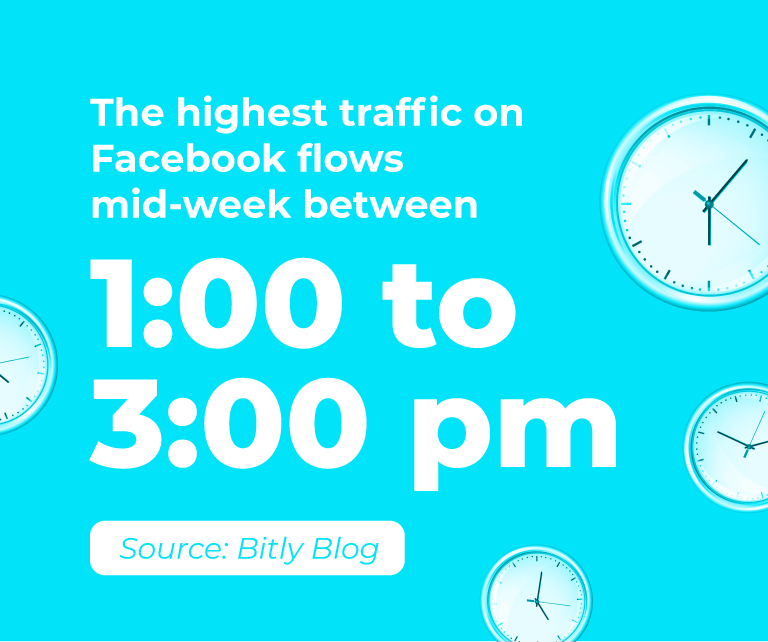 The highest traffic on Facebook flows mid-week between 1 to 3 pm. 1.3 million pieces of new content are shared on Facebook every single minute. In general, 100 million hours of video content are watched on Facebook every day. As of May 2018, there were 80 million Facebook Business Pages in total. The best ad title on Facebook should consist of four words, while 15 words go for a link description. 68% of Facebook users interpret it as a source of news for them. Facebook Pages with a smaller number of followers can get higher reach and engagement rates. 89% of supermarket shoppers prefer to use Facebook over other social networks. The average cost per click in Facebook ads is $1.72 across different industries. 133 million+ of LinkedIn users come from the United States alone. LinkedIn is the first channel B2B marketers use to distribute content. The world’s largest professional network on the Internet is located on LinkedIn from over 200 countries and territories. More than 70% of LinkedIn members live outside the United States. Every second, two new professionals join LinkedIn. 45% of LinkedIn users are experienced senior managers. The salary 44% of LinkedIn users take home equals to $75,000 per year and is above the national median in the United States. 25% of all U.S. adults are LinkedIn members. 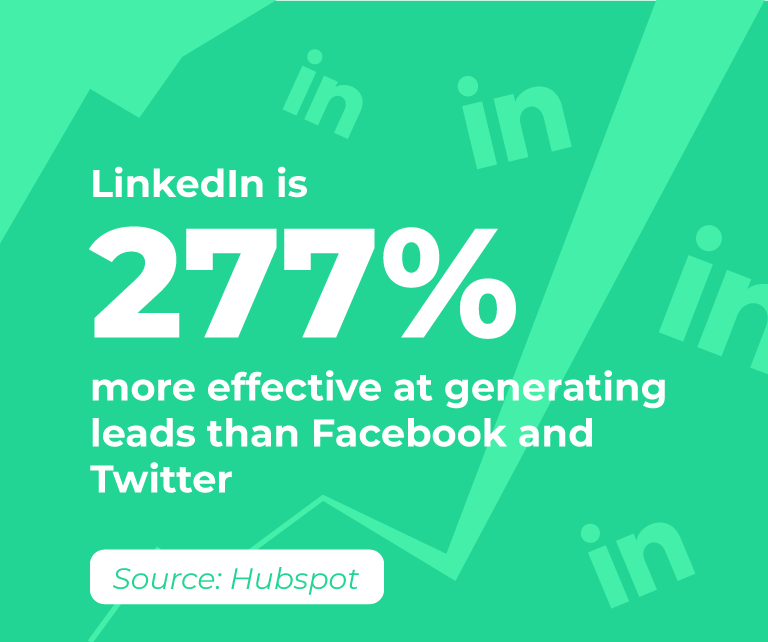 96% of sales executives access and use LinkedIn at least once a week. Sales managers spend an average of 6 hours per week on LinkedIn. It has been estimated that four-in-ten Millionaires are members of LinkedIn, which is second only to Facebook. Every day, users publish 2 million posts, articles, and videos on LinkedIn. As of 2019, Instagram has 1 billion+ users. Half of the users that subscribed to Instagram show daily activity in stories. On average, users ‘like’ 4.2 billion Instagram posts per day. 38% of users are known for checking Instagram a few times daily. Around 200 million Instagram users visit one or more business profiles every day. Six in ten online adults have signed up to Instagram. 78% of influencers choose Instagram to collaborate with brands. Nearly 80% of all Instagram users follow a business. Photos showing faces generally get 38% more Likes than photos without ones. 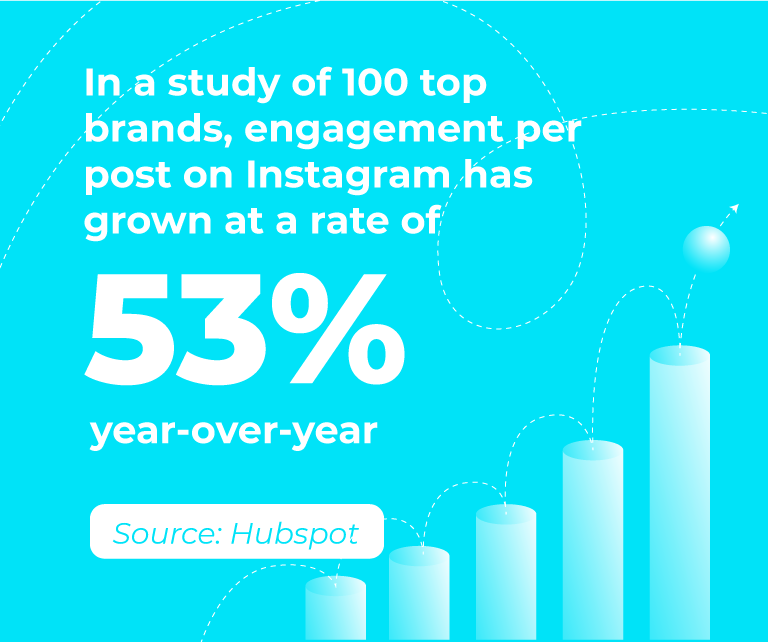 The study analyzing top brands on Instagram has shown that engagement per post has grown by 53% year over year. Thursday is considered to be the best day in the week to post on Instagram for brands across all industries. According to Instagram, one-third of the most viewed stories are made from business accounts, with one in five stories receiving a direct response from viewers. 60% of all Instagram users (around 600+ million people) look for and spot new products on Instagram. Instagram is used by 71% of U.S. businesses. Twitter is used by 326 million people every month. People send 500 million tweets every day. Twitter is the top social network for government officials. 81% of millennials access Twitter at least once a day. 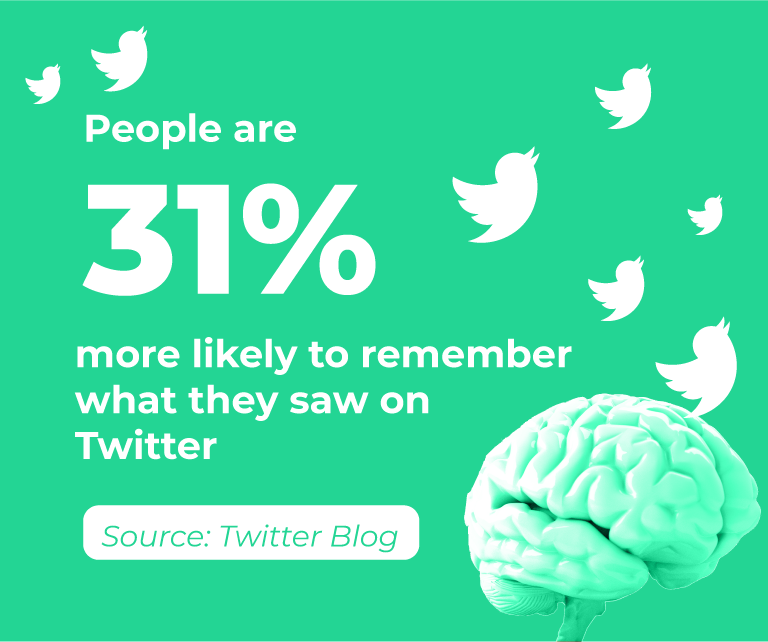 People are 31% more likely to remember things they saw on Twitter. 65.8% of U.S. companies bigger than 100 employees in size use Twitter for marketing purposes. 83% of the world’s leaders are on Twitter. With a day’s number of Tweets, one can write a 10 million page book. 58% of the leading brands on Twitter have more than 100,00 followers. Tweets accompanied by an image get 150% more retweets, 18% more click-throughs, and 89% more likes. 60% of consumers on Twitter expect brands to reply to their messages within an hour, though the average time for response is 1 hour 24 minutes. Using Twitter for customer service, companies see a 19% increase in customer satisfaction. 250 million people use Pinterest monthly. There are 3 billion of Pinterest boards in total. 81% of Pinterest users are women. 30% of all U.S. social media users are Pinterest users. 72% of Pinterest users access the platform to decide what to buy offline. Pinterest is reported to be the 2nd highest source of traffic to Shopify stores. Two-thirds of pins refer to brands and products. Prime Pinterest category in the U.S. is Art, Art Supplies & Hobbies. Pinterest generally brings 25% of referral traffic to retail websites. 93% of active pinners reported using Pinterest to plan for future purchases, while 87% said they’ve bought something due to the influence of Pinterest. Pinterest users are twice as likely to admit their time on the platform is well-spent. Pinterest has got a 75% increase in pins under two years. Pinterest has a tendency to deliver $2 in profit per $1 spent on advertising. After finding ideas on Pinterest, 98% of users go out to try them out. 59% of millennials are discovering products on Pinterest. 90%of weekly social media users go to Pinterest and make purchase decisions afterward. 55% of pinners use Pinterest to look for particular products. 51% of female users got acquainted with new brands on Pinterest. Pins reflecting on life moments lead to a 22% lift in sales. Pinterest is expected to increase ad revenue by 40% in 2019. YouTube has over 1.9 billion monthly active users. YouTube mobile ads are more effective than TV ads and 84% more likely to hold attention. 6 out of 10 people prefer spending time on online video platforms than watching live TV. Most visitors YouTube attracts are from the United States, India, Japan, Russia, and China. YouTube works and has videos in 80 different languages. YouTube is second only to Google in terms of traffic. YouTube is regarded as the top iOS app of 2018. Surprisingly, people have already watched 50,000 years of YouTube product review videos in total. YouTube is home to 50 million creators. There are 9% of small businesses presented on YouTube. On average, YouTube has 1,000,000,000 mobile video views daily. 68% of YouTube users admit they watched a video to decide whether to buy something. Technically, YouTube can be interpreted as the second largest search engine in the world. Brands presented on YouTube on average have 2.4 channels. One out of three internet users usually gets attracted by YouTube. YouTube users are three times more likely to prefer watching a YouTube tutorial video compared to reading the product’s instructions. Snapchat has 300 million+ total active monthly users. 58% of college students would be inclined to buy a brand’s product or service, have they been sent a coupon on Snapchat. The average Snapchat user visits the network over 20 times per day. On average, a Snapchat user generally spends 25-30 minutes on the platform every day. 54% of Snapchat social media users log in at least once per day. More than half of Snapchat users point out that they follow one or more business profiles on the platform. Over 50% of active Snapchat users open a brand’s story. Snapchat’s revenue spent on ads is expected to grow to $767 billion by 2020. 45% of U.S. teens preferred using Snapchat in 2018. 78% of internet users aged 18-24 use Snapchat. 19 million visitors check Snap Maps on a daily basis. Snapchat is used by 11% of the total U.S. digital population. Last year Snapchat reached an 18.7% increase in ad revenue compared to the previous year. Snapchat is used by 64% of users worldwide with the purpose of sending messages. 64% of marketing experts have a Snapchat account. Snapchat is forecast to have 103.6 million users in the U.S in 2022. When seeing a social media advertisement, more than 30% of people respond by visiting the website or the online store. 70% of users admit that Twitter ads are usually informative enough to buy the most-suited products and services. Global share of the world’s businesses using social media marketing for more than 5 years is 24%. 59% of global consumers were reported to use social media as a source of inspiration for purchases. As you can see, social media streamlines the success of many brands, but there still remains the challenge of how rather than why and where. PromoRepublic’s tools were designed to make social media management more effective and a lot simpler with built-in post analytics, best posting time suggestions, scheduling, and ready-made content. After seeing us in action, how do you envision your social media activities?